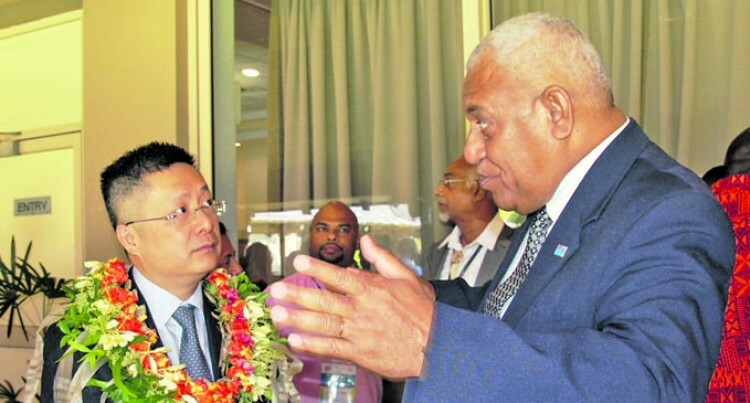 Fiji’s strength, much like China’s, lies in the rural agricultural sector, says the Chinese Ambassador to Fiji, Qian Bo. Mr Qian was attending a Rural Development Symposium yesterday in Nadi, contributing to discussions with various other stakeholders on how to boost rural development in Fiji. He said Chinese President Xi Jinping placed great importance on rural issues such as agriculture. Mr Qian related these points to the current progression and the attitude that must be driven to Fiji’s rural agricultural sector. Permanent Secretary for Rural and Maritime Development, National Disaster Management and Meteorological Services Meleti Bainimarama said the theme was “a reflection of the ministry’s vision to assist the rural populace in improving their livelihoods, living standards and create an enabling environment for effective governance. “It is something that goes hand in hand with the government’s 20-year development plan and the ministry’s three-year strategic plan,” Mr Bainimarama said. He said they would be using the symposium as a platform to get feedback from various stakeholders. He said ideas on how better roads could be built, getting better regional water plans, accessing electricity and simplifying accessibility for members of the public to these basic services were discussed.